Welcome to the website of SGK Home Improvements. We are an expert and local Home Improvement Company Serving the Liverpool and North West England. SGK Home Improvements are specialist suppliers and installers of high quality home improvement products in PVCu, aluminium and other materials. We offer class leading PVCu and Composite products, the very latest in modern aluminum door an window systems, bi-folding doors, entrance doors and much more. We have an excellent reputation and name in the Liverpool, and the North West. With 25 years experience serving the domestic and commercial home improvement market, we have the knowledge to provide exactly the right products for your home, renovation or construction project. From a single window to a complete design and build project, SGK Home Improvements can help. With trends in glazing ever changing and the focus now on maximum glass area, ultimate security and energy efficiency as well as stringent Building Regulations and Industry standards we can help you. We are committed to helping our local communities with advanced yet affordable home improvement products. This commitment also extends to our surveying, installation, after care and beyond. From competitively priced windows and doors of exceptional quality and design to sophisticated and bespoke glass solutions to suit the ultimate or high end property SGK can help. 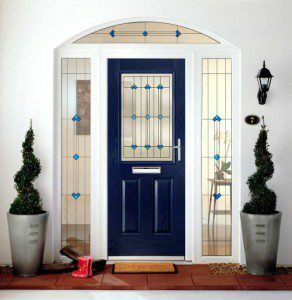 Unlike other window companies we are different. We are not tied to one product or material meaning we have exactly the right products to suit you and your home. This includes a range of specialist products for which we are approved suppliers and installers in the local area. If you are looking for a personal service, quality products at the right price and a home improvement firm that will take care of the small details, please contact us.